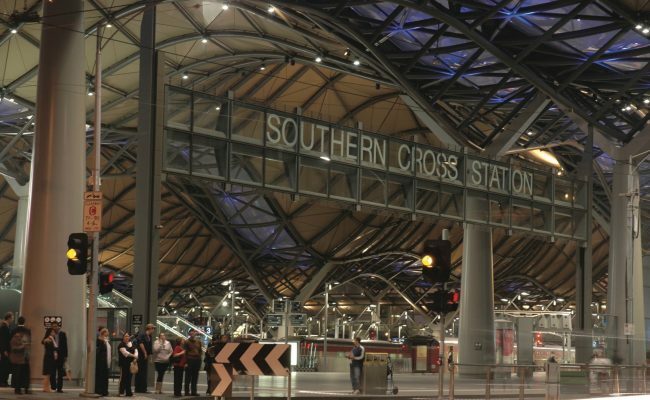 The impressive vertical lift door and canopy door at Southern Cross Station highlights the vastness and quality of our capabilities. Designed and manufactured in consultation with Grimshaw Jackson Joint Venture and Winward Structures, the job was awarded to us due to our proven track record and ability to custom design and manufacture to meet specific design requirements. 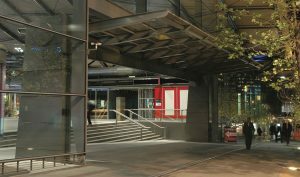 The remarkable vertical lift door located at the corner of Bourke Street and Collins Street, is 3m high by a massive 30.5m wide. Emblazoned with the station’s name, this door is one of the widest single span glazed counterweight doors ever made in Australia. 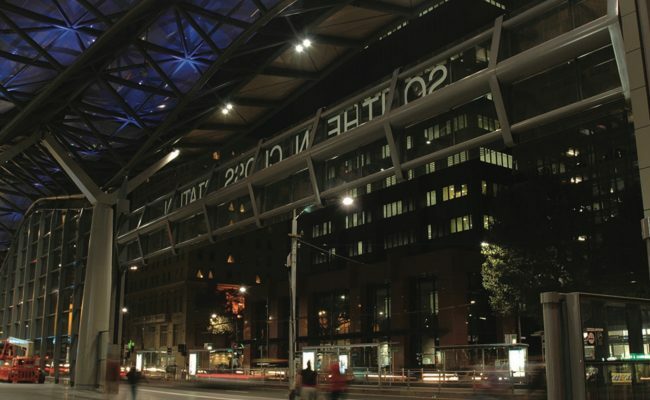 The equally stunning glazed canopy door, located on the south side of the station (on Collins Street), doubles as a canopy when open. 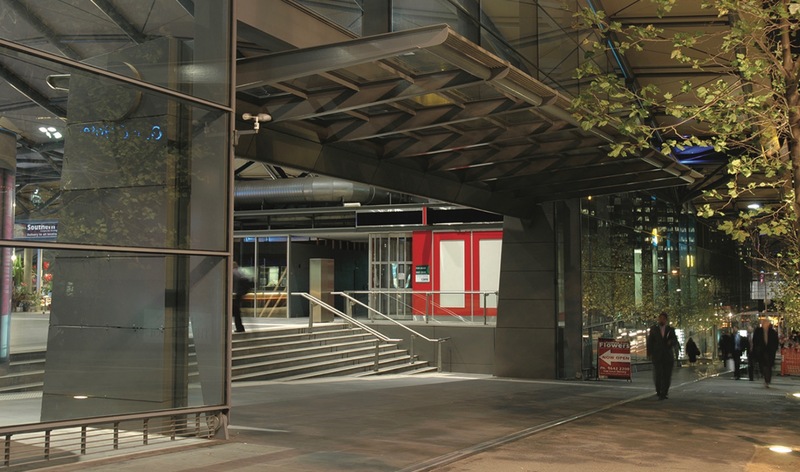 The canopy door is 5.7m high by 16m wide and operates using hydraulic cylinders and cam levers. Both doors open up to provide major pedestrian entry and exit points to the station.